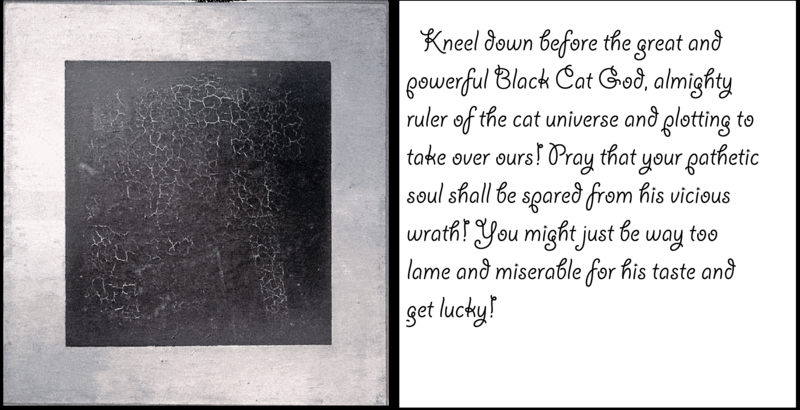 Kneel down before the great and powerful Black Cat God, almighty ruler of the cat universe and plotting to take over ours! Pray that your pathetic soul shall be spared from his vicious wrath! You might just be way too lame and miserable for his taste and get lucky! Reblogged this on event Homage up to Paul Jaisini.